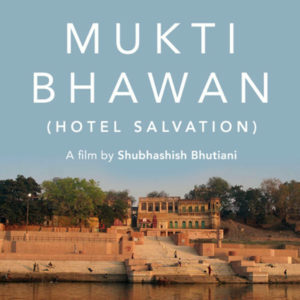 Mukti Bhawan has received overwhelming praise from critics and fans. It is been called a masterpiece and now it has won a National Award. Written and Directed by Shubhashish Bhutiani, the film stars Lalit Behl, Adil Hussain, Geetanjali Kulkarni, and Navninda Behl. We have a statement from Director Shubhashish Bhutiani about his excitment on winning the special mention (feature film) for Mukti Bhawan in 64th National film awards. He takes the news to his son Rajiv, knowing he wants to breathe his last in the holy city of Varanasi and end the cycle of rebirth, by attaining salvation. Being the dutiful son he is, Rajiv, is left with no choice but to drop everything and make the journey with his stubborn father. Daya and Rajiv check into Mukti Bhawan (Hotel Salvation) in Varanasi, a guesthouse devoted to people to die there. But as the days go by, Rajiv struggles to juggle his responsibilities back home, while Daya starts to bloom in the hotel. 15 queries in 1.178 seconds.